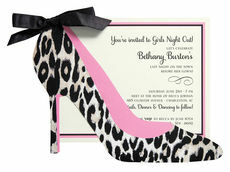 These invitations feature flocked die-cut leopard shoe card stock attached to printed invitations secured with satin ribbons. 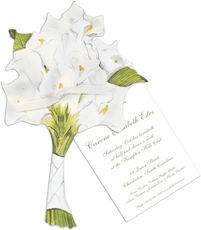 Assembled invitations measure 5" x 7", printed invitation measures 5.5" x.. 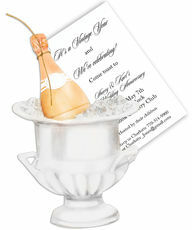 These invitations feature a beaded sandal napkin die-cut cards attached to printed invitations on white cards secured with a blue satin ribbon. 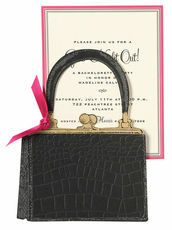 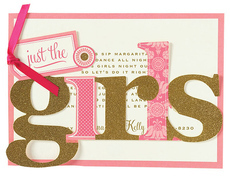 Invitations, envelopes, diecuts and pre-cut ivory..
Planning a Special Bachelorette Party? 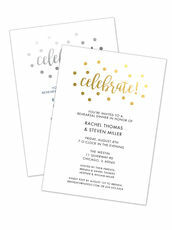 Need Cute, Unique Bachelorette Party Invitations at Affordable Prices? 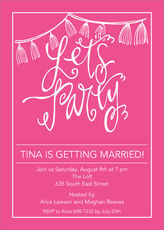 The Stationery Studio Has a Large Selection of Bachelorette Party Invitations, Bachelorette Invitations, Bachelorette Party Napkins & More!